Dec. 29, 2018, the reign of Daniel Cormier as UFC light heavyweight champion will come to an end. On that night at UFC 232 in Las Vegas, Jon Jones will make his long awaited return to the Octagon, where he faces Alexander Gustafsson with the 205-pound title on the line. As the UFC has done in recent fights, Cormier's belt won't officially get stripped until Jones and Gustafsson step into the cage to do battle. At that moment, Cormier will no longer be the light heavyweight champion, and the undisputed title will be up for grabs. Cormier last defended the light heavyweight title in January with a lopsided win over Volkan Oezdemir, so it hasn't even been a year since he last competed at 205 pounds. Add to that, Cormier has been the model champion, so it's understandable why he hoped to retain the title at least until his planned retirement in March 2019. Still, as angry as Cormier might have been about being stripped, he ultimately understood why the UFC was doing what they are doing. 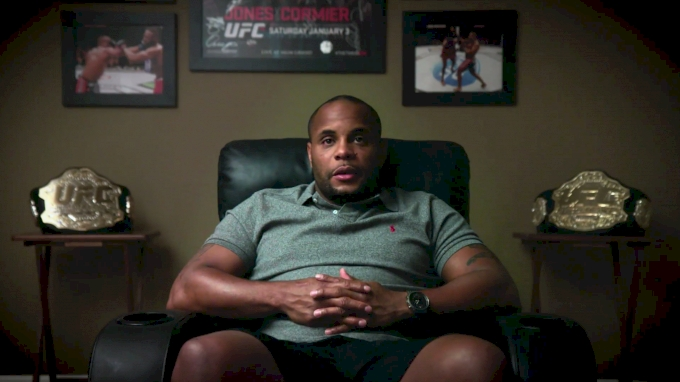 "Initially, I was very disappointed they were going to give [Jones] the title fight because I really didn't do anything wrong to get stripped, but I understand the organization has to move forward," Cormier told FloCombat. "The reality is I was OK with the decision a little bit more due to the fact that whoever wins the fight, if I decide to go back to 205 [pounds], I'm guaranteed the title fight." Cormier has stated he likely only has two fights left in his career, with one of those already booked for Nov. 3, when he takes on Derrick Lewis in the main event at UFC 230. Following that fight, Cormier has said he probably has one more scrap left in him, and then it just comes down to timing and which opponent makes the most sense for his final bout. For his bank account, Cormier acknowledges that a fight against former UFC champion and WWE superstar Brock Lesnar would probably make him the most money. Then again, Cormier also knows one more fight against Jones, who has been his fiercest rival for years, could allow him to satisfy the urge to avenge a prior defeat and to go out on top when he calls it a career. Obviously, plenty has to happen before Cormier can make that decision, including his fight with Lewis and the pending result of Jones vs. Gustafsson part two in December. Cormier seems to believe both options will be available to him based on his prediction for the UFC 232 main event rematch. "I think [Jones] wins the fight," Cormier said. "I think Gustafsson is a fantastic fighter. I just believe that he caught him on a night when it was like this fight for me with [Derrick] Lewis. Nobody gave Alexander a chance, and I think Jon took that mindset into the fight too, and that's why the fight was so close. "I shared the Octagon with both and I think Jones is just a better fighter. I've got to be honest with you."